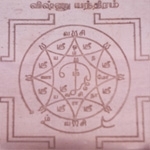 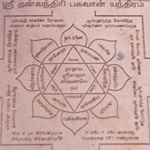 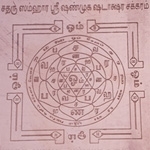 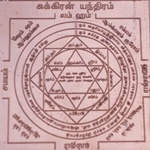 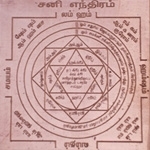 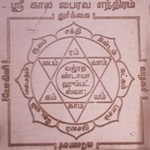 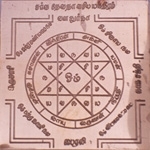 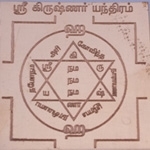 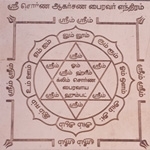 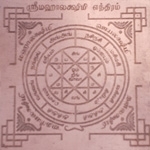 In simple terms, An Yantra is a symbolic representation of a Mantra. 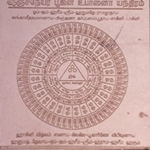 They are emblems of psychic power. 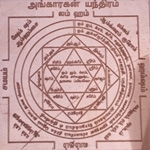 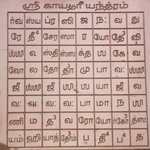 The literal meaning of yantra is am instrument or machine. 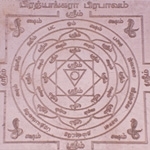 Especially in Hinduism, Deities are worshiped in different forms and each form is linked to a yantra. 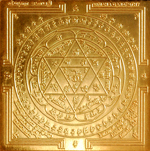 It is said that if you are chanting mantras of a diety keeping his yantra while chanting can speed up the beneficial effects of the mantras. 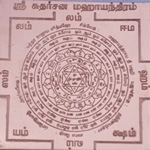 Yantras are widely used in meditation, Pujas and tantric rituals. 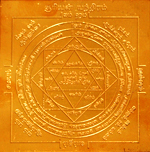 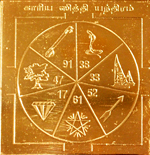 Yantras can be made of various metals like copper, gold, silver, astadhatu, pancha loha etc. 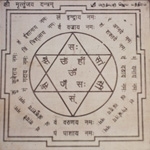 or a special leaf referred to as bhoja patra. 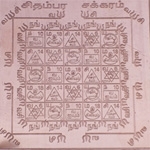 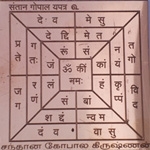 The act of wearing, drawing, or concentrating on a yantra is said to have spiritual or astrological or magical benefits. 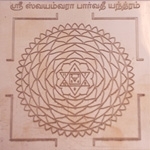 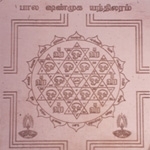 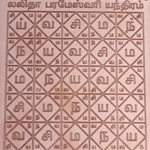 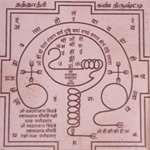 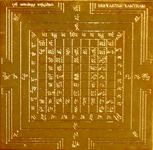 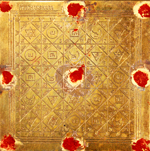 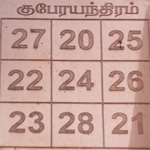 If you observe a Yantra one can notice several symbols. 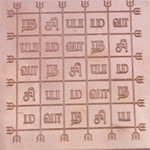 Some Symbols employed in yantras are squares, triangles, circles and floral patterns but may also include more complex and detailed symbols like a lotus flower representing chakras, bija mantras in Devanagari, a swastik symbol representing prosperity etc. 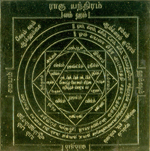 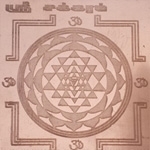 The process of creation of Yantra is represented by the five elements Earth, Water, Fire, Air and Ether while the activating is the process of putting the Soul into it. 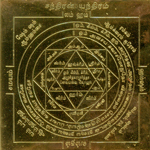 Astrologically, Yantras have great significance and is considered auspicious in Hindu mythology. 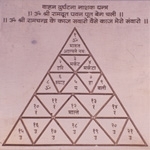 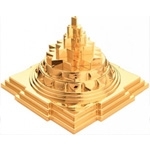 Since yantras are made up of metals, alloys, Precious stones, alloys etc and made on a particular date and time according to procedures defined in the Vedas and charged with siddhi mantras they can be used to remove a planet's malice effects and increase its beneficial aspects. 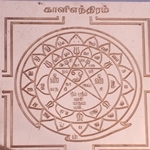 This birth chart analyzing is done very much in detail, so that we get to know which Deity has to be appeased as per your birth chart and on chanting which mantra all the impossible of your life will become certainly possible.